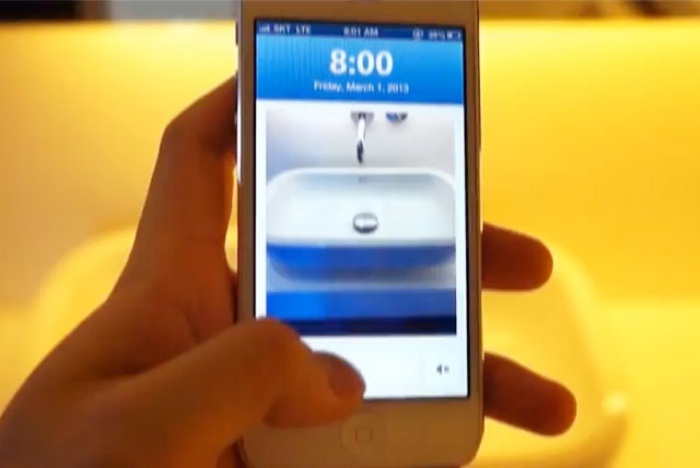 Sleep If U Can App: Take the Exact Same Picture You Set Earlier to Shut the Alarm | OhGizmo! The toilet? Your toothbrush? The insides of your closet? The choice is up to you–just make sure you don’t set the alarm clock beside your bed as your wake-up shot. The Sleep If U Can app can be downloaded from the iTunes App Store for $1.99. ← Tetris Your House: How Many Tetris Blocks Will It Take to Fill Up Your Home?